La Grande Année 2004 is a must-have for gourmet restaurants and good hotels alike: it is the perfect champagne to serve with a fine meal. 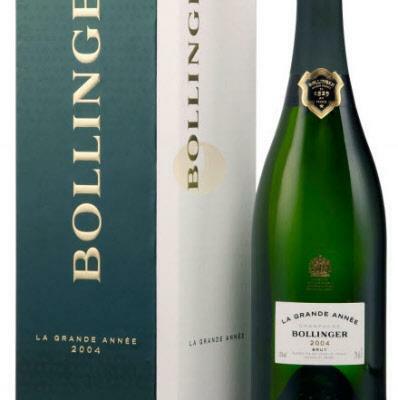 To fully appreciate its unique style, bouquet and aromas, La Grande Année 2004 is best served between 10 and 12°C. You can enjoy La Grande Année 2004 right away, or choose to age it in your cellar. 66% Pinot Noir, 34% Chardonnay. 16 crus: 88% Grands crus, 12% Premiers crus. in Champagne, with a relatively dry winter and spring but a cold, wet end to the summer. necessary for the very best vintages.aire. Maturation: cellar aged for more than twice the time required by the appellation. Dosage: moderate, 7 to 8 grams per liter.